It’s May, it’s May! One of my favourite months. I guess I kind of have to love it—May is my birthday month after all (any fellow Taureans out there?! )—but it’s also the month when spring finally reveals itself here in Southern Ontario. Everything has a special glow and newness this time of the year and I can’t get enough. The fresh start makes me actually want to tackle some of those ambitious new year goals, you know what I’m saying? Maybe there’s still hope for 2018, heh. Here’s the next round up of things I’m loving lately…I hope you enjoy! 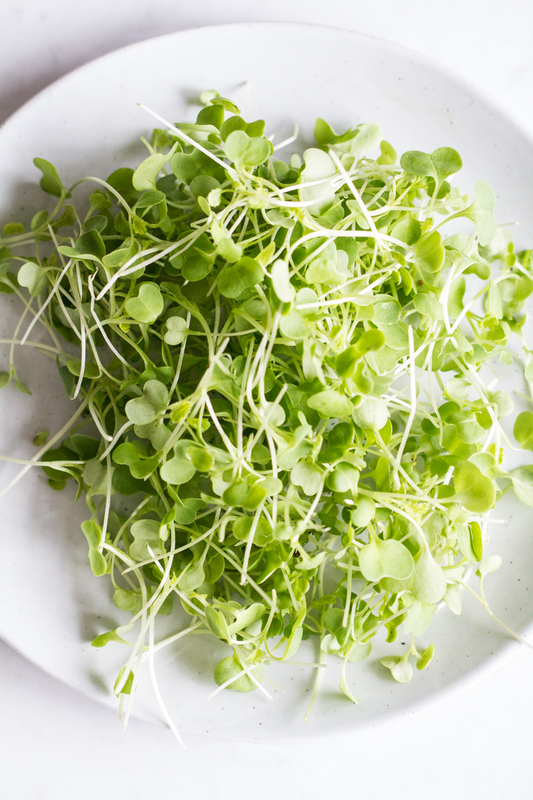 Microgreens are supposedly the new “it” green of 2018, and I’ve been loving these dainty greens in wraps, smoothies, salads, and soups. Microgreens are the seedlings of vegetables and herbs that are cut at only 1 to 3 inches long, just shortly after they start to grow. Some research shows that microgreens can have four to forty times the nutrients of their mature plant counterparts…whoa! Apparently they are pretty easy to grow at home, so I may try that soon despite my black thumb. If anyone has grown microgreens at home (indoors or out), I’d love your tips! This new-to-me chocolate brand was a great find on our recent trip to Arizona. The Mint Crunch flavour is hands-down the best mint chocolate bar I’ve tried. (It has crunchy peppermint crisps throughout, you guys. Peppermint. CRISPS. *swoon*). I’m seriously in withdrawal not being able to find the brand back at home. Their Extreme Dark (88% cacao) variety is also quite smooth, although it’s still a runner-up to my fave Green & Black’s Organic 85%. I bought this powder one day on a whim when it was on sale and started adding a teaspoon of it to my morning smoothie (I’ve been making a variation of my In The Buff Smoothie Bowl lately). Unlike a lot of green powders, I love that this Sprout Living Mix has a super short ingredient list (just broccoli sprouts and kale sprouts! ), taking the guesswork out of whether or not I can consume it while nursing. 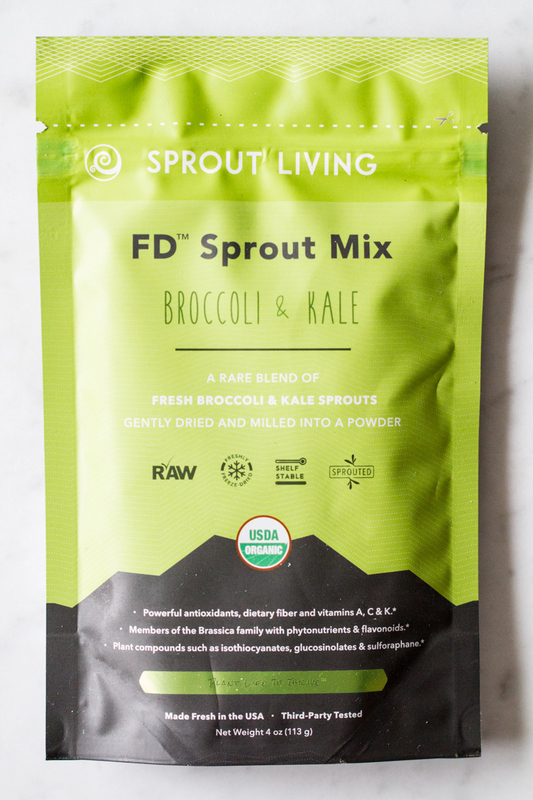 Broccoli and kale sprouts are packed with antioxidants, minerals, and Vitamins A, C, and K. In this blend, the sprouts are gently dried and milled into a powder. Whenever I find myself without fresh greens for smoothies, I add a teaspoon to the blender for a small (but powerful) green boost. This mix does have an earthy flavour, but I found I got used to the taste with time! 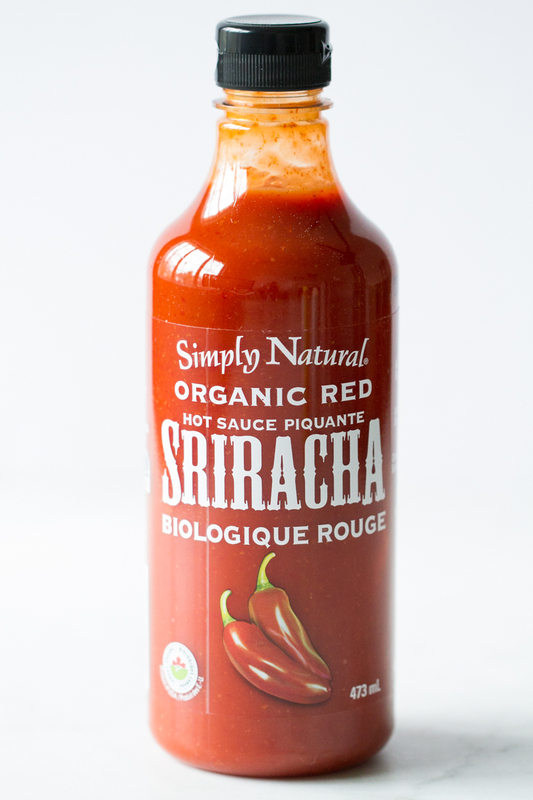 Any time I use Sriracha in a recipe, I receive lots of questions asking which brand is my go-to. This is it! I’ve been buying this brand for the past few years now. The flavour is spicy and intense with a touch of sweetness. I use Sriracha to punch up homemade hummus, my All-Purpose Vegan Cheese Sauce, guacamole, pasta, tacos, etc. I’ve shown this cute print on Insta Stories a few times, and I always receive questions about it when I do. 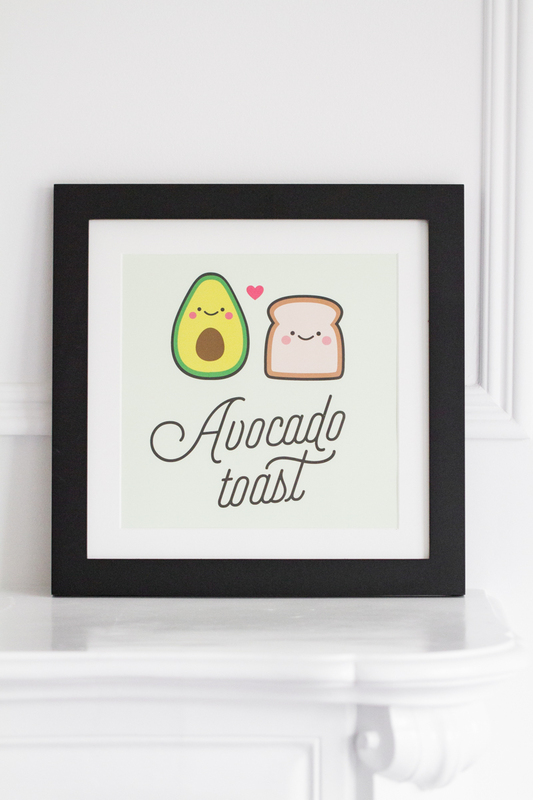 I bought the print from Etsy a few years ago now, but it’s still one of my favourites! You can buy it online from Plant Love Boutique. 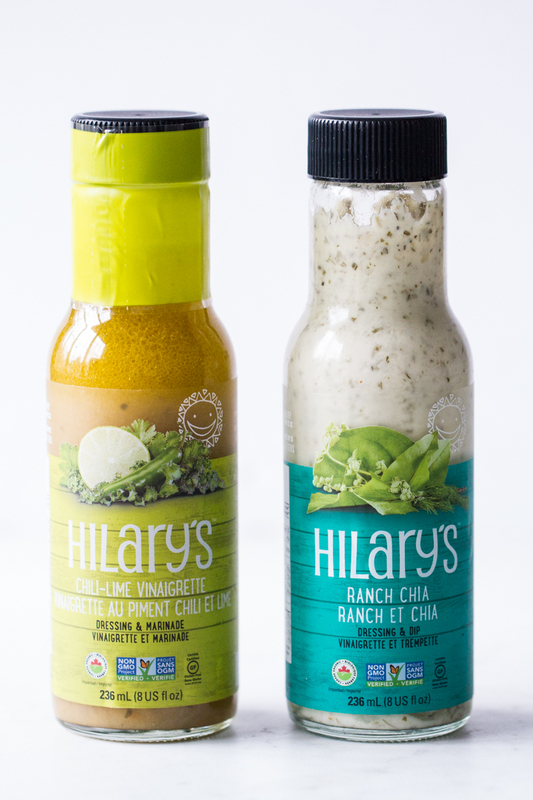 Hilary’s Chili-Lime Vinaigrette is my go-to store-bought dressing—I always have some on hand in my fridge these days. 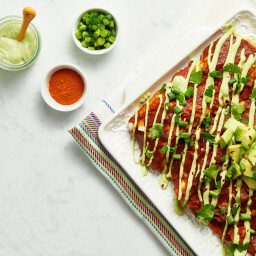 It’s vegan as well as soy-, dairy-, and gluten-free, and I love its list of easy-to-pronounce ingredients: water, lime juice, extra virgin olive oil, green chili, apple concentrate, sunflower oil, tapioca syrup, apple cider vinegar, salt, cumin, orange pulp, and parsley. 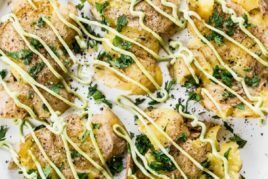 The Ranch Chia dressing is also quite tasty, but I find it thickens a lot when chilled, so I tend to use that flavour more as a dip for veggies than as a salad dressing (never a bad thing!). 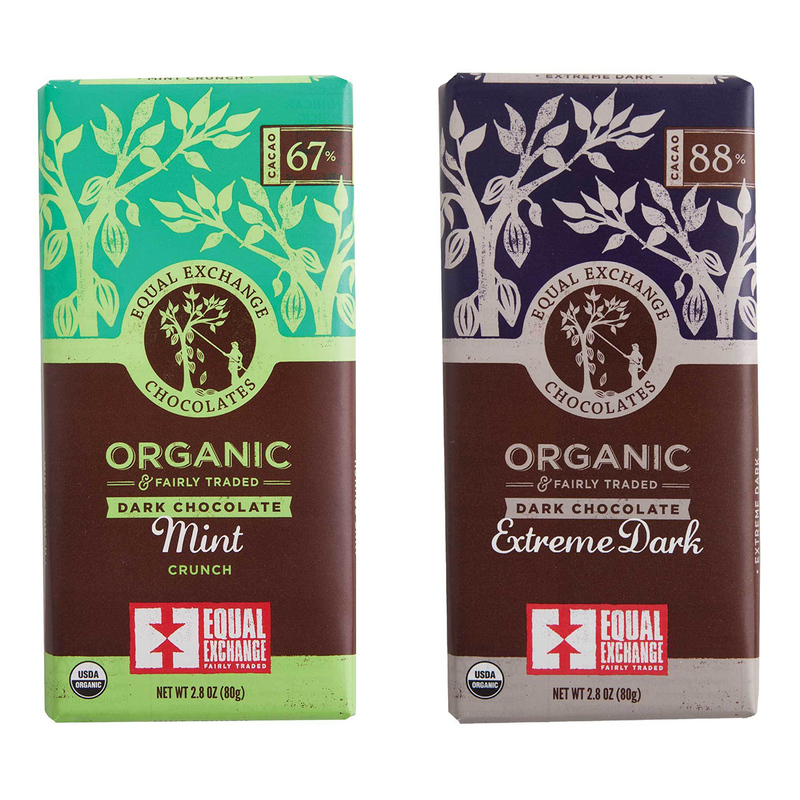 You can purchase the bars directly from Equal Exchange on their website and I may have been guilty of doing that (why not, when the closest store that carries them is 2.5 hours away?!) :-). Their chocolate is so good and knowing it’s fair trade makes me feel even better eating it. I love the volume and crunch they add…so fun trying different flavours (varieties) of microgreens too. I was surpised by how much I love broccoli microgreens. Could you post the links from where you buy the micro greens and the sprout mix? Hey Angela, just sharing that I saw your cookbook on a recent episode of Fixer Upper (the loft conversion) not sure if you knew. 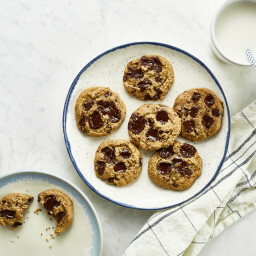 It was open to one of your yummy recipes in the kitchen staging pics on HGTV website. Oh no way!! That’s so cool! I watch that show sometimes, but did not see or hear about it. Now I have to go looking…haha. :) Do you know if it was a recent/new episode? Thanks Maggie! Yes, It was the “Loft Conversion” episode. 2 weeks ago. You can go to the HGTV website and just see pics of the episode. So glad you are a fan of it too! It’s really addictive. And thanks for the Target tip! I wish our Target stores never closed here in Canada *sniff, sniff. Hey Krissy! I buy it at Organic Garage. I think they stock it in their produce section. :) Sometimes they don’t always have these flavours though. Whole Foods used to carry it in Oakville, but I haven’t seen it for a long time. I buy Hilary’s here in Burlington at Goodness Me! Natural Food Market. Word of warning,though…whenever Angela mentions it on her blog or Instagram, it is sold out for long, agonizing weeks at a time ha ha ha! They are currently out of the Chili Lime Vinaigrette but they do have the Ranch Chia in stock…I picked one up yesterday. 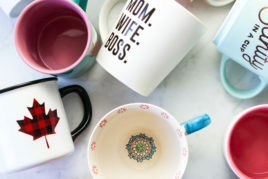 They do home delivery if it’s in stock at their Hamilton locations if you find you can’t wait! haha you crack me up! ;) Thanks for mentioning you find it at Goodness Me!…love that store. Hopefully they won’t be out of stock for long. Thanks for reminding me about microgreens! I must try and grow these in my kitchen over winter – so versatile!! Although I don’t really like the taste of microgreens at first, it’s healthy so I keep buying the greens for salad and wrap. Gotta try growing at home. Its delicious….Tempted to eat it…. not sure if you’re mixing it altogether tho? Hi. Where do you do your grocery shopping? I find it so hard to find vegan products in Toronto. Thank you. 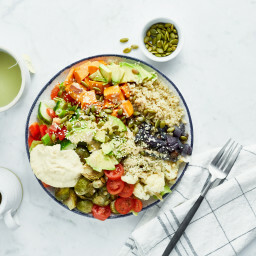 Previous post: Ask Angela: High-protein vegan entrées, turning muffins into doughnuts, how I soak seeds/nuts, and more! 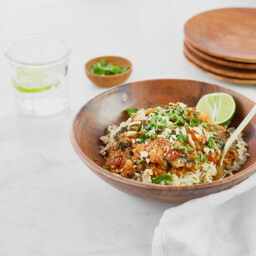 Next post: Ask Angela: Shelf-stable work lunch ideas, swapping chickpea miso, Scottsdale restaurant tips, and more!